The Harare Institute of Technology (HIT) has become the first local institution to produce a working transformer certified for field roll-outs by the Zimbabwe Electricity Supply Authority. Zimbabwe has struggled to procure transformers in recent years due to ongoing foreign currency shortages, resulting in a slow electrification process. 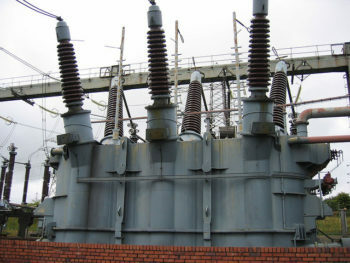 Many households have endured power blackouts lasting several months when a ZESA electricity transformer develops a malfunction which requires a complete replacement. The situation has been exacerbated by ZESA’s reliability on importing the electricity components from South Africa and other countries. Zimbabwe’s power supply problems were made even worse in recent years by the increasing cases of vandalism and theft of critical electricity transmission components which made it difficult for the authorities to keep the national power supply grid working at full capacity. The innovation of transformers by HIT’s Technology Transfer, Licensing and Commercialization Center will undoubtedly ease the electricity supply situation and reduce the country’s import bill as the economy continues to experience constant foreign currency deficiencies.